Brushed back fleece. Lined hood with white drawcord. Long length. Front pouch pocket. 1x1 ribbed cu..
Drop shoulder style. Two piece lined hood with natural colour drawcord. Single needle topstitched fr..
Raglan sleeves. Brushed back fleece. Two piece lined hood with self colour drawcord. Front pouch poc..
NB Dyed garments always wash seperately. Soft washed garment-dyed fabric. Semi-fitted silhouette. Je..
Drop shoulder style. Loose fit. Lightweight. Three piece unlined hood with extra long drawcord. Long.. Fashion slim fit. Drop shoulder style. Brushed back fleece. 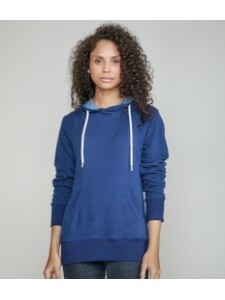 Double fabric hood with ribbed edge and ..
Drop shoulder style. Brushed back fleece. 100% cotton outer layer. Ladies tailored fit. Double layer.. Single jersey. Raglan sleeves. Self colour lined hood. Self colour flat drawcord with buttonholes. ..
Raglan sleeves. Soft peached fabric with brushed inner. Waffle lined hood with flat natural drawcord..
Drop shoulder style. Unlined cross over hood with natural drawcord. Taped neck. Curved side seams. F..
Girlie relaxed fit. Drop shoulder style. Soft cotton faced fabric. Long length. 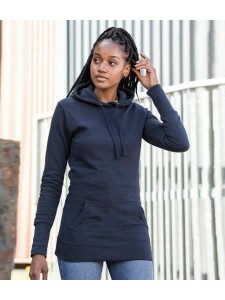 Double fabric hood w..
Ladies fit. Drop shoulder style. Double fabric hood with topstitch detail. Flat lace drawcord with b..
Girlie fit. Drop shoulder style. Soft cotton faced fabric. Long length. Three panel double fabric ho..
Girlie fit. Drop shoulder style. Soft cotton faced fabric. Double fabric hood with self colour draw..